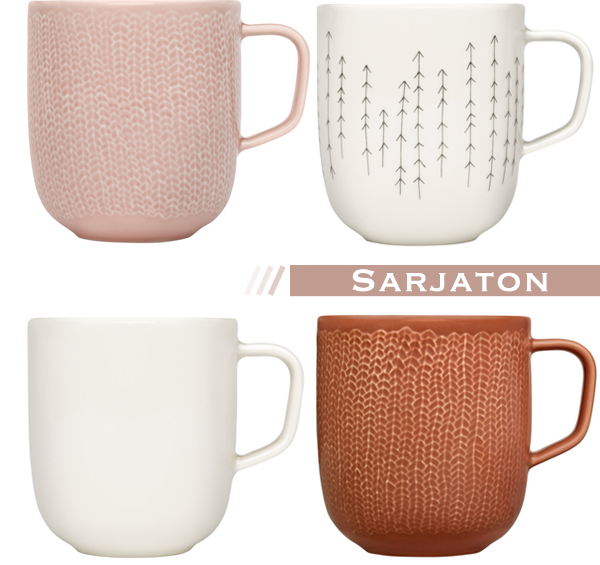 I'm crazy about the Sarjaton collection. The special porcelain series is designed by six talented designers inspired by various Finnish traditions. What they all came up with are these gorgeous pieces made up of simple embossed designs and muted tones. We can start building our collection from Iittala on September 3.